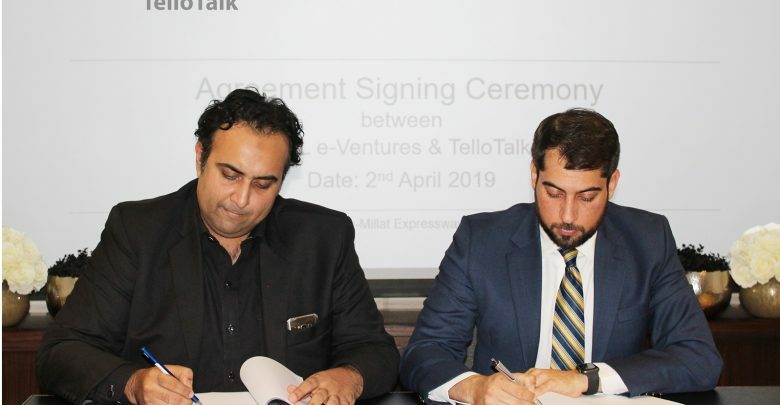 TPL e-Ventures company with an aim to boost digitization of Pakistan’s economy has entered into an investment and partnership deal with TelloTalk’s homegrown social and corporate messaging app. Both company’s plan to introduce a local messaging app, that will allow people to communicate, share content, transfer payments and transact with businesses. Ali Samer, the CEO of TPL e-Ventures said that Pakistan is a home for amazing young and talented minds and the TelloTalk’s app is an incredible example of the existence of that talent in the country. He said that the platform focuses to counter the shortcomings of global social media apps by providing privacy and security through local hosting of its technology stack. The TelloTalk messenger app was announced in June 2015. In addition to the mainstream text, voice and calling features the app provides organized content in Urdu, English, Punjabi, Pashto, Sindhi, and Balochi among other regional languages. With the live TV feature, users can watch Pakistani dramas live and can listen to desi tunes on live radio function. The apps also have a built-in media player to watch local songs, videos and Islamic content without having to switch to another application. TPL e-Ventures is a recent project by Pakistan’s popular tech company, TPL Corp. This venture was started with an aim to invest in various startups across industries to build and support high potential entrepreneurs in the country. Shahbaz Jamote, CEO of TelloTalk said that he is very excited and looking forward to collaborating with TPL to unlock new possibilities. TelloTalk messenger app is available on both Google Play Store and Apple Store online.